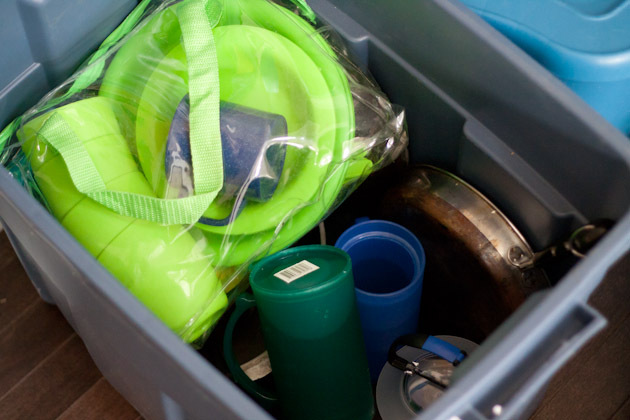 Packing our things in Rubbermaid containers, such as this one, makes life easier. 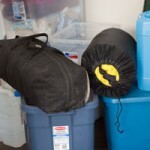 Not only are things well organized, but if we get rained on, our things will be nice and dry. 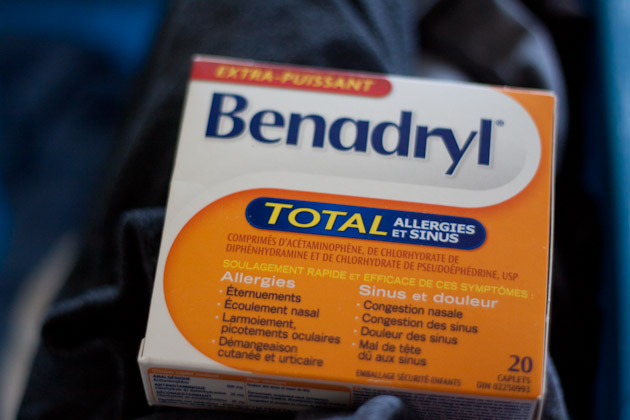 I take Benadryl where ever I go. I think I picked it up this habit from my Mother. 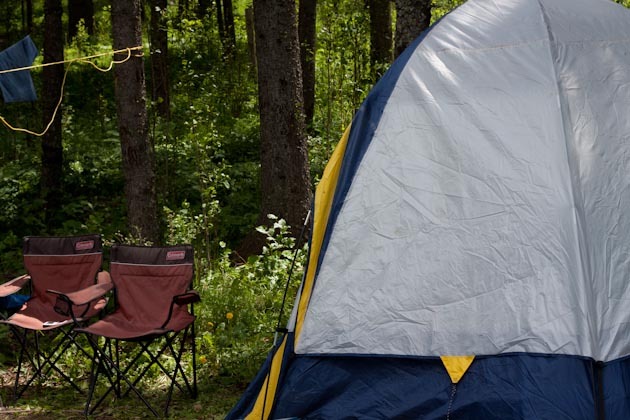 You never know when someone is going to have an allergic reaction to something, especially when you’re out camping. Our vet has told us that antihistamines such as benadyrl are safe for dogs so that’s a bonus! 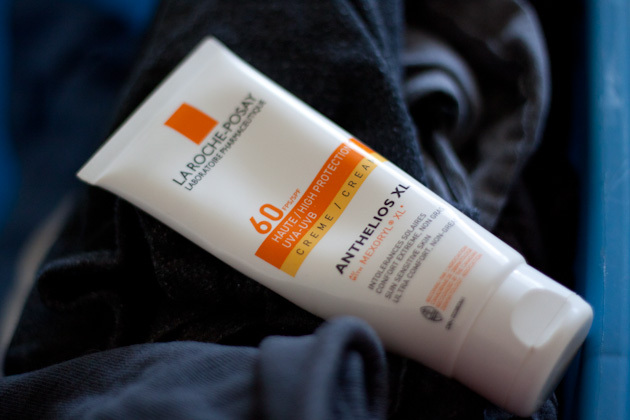 We never leave the house without our La roche-posay sunscreen for face and body. This sunscreen for sensitive skin was recommended to me by my dermatologist ages ago and I’ve never made the switch to any other brand. It protects well, you don’t need a lot of it, and it’s not harmful to my skin. I received my Now & Zen alarm and meditation clock about 6 years ago and still use it for my meditations and as an alarm in the morning. 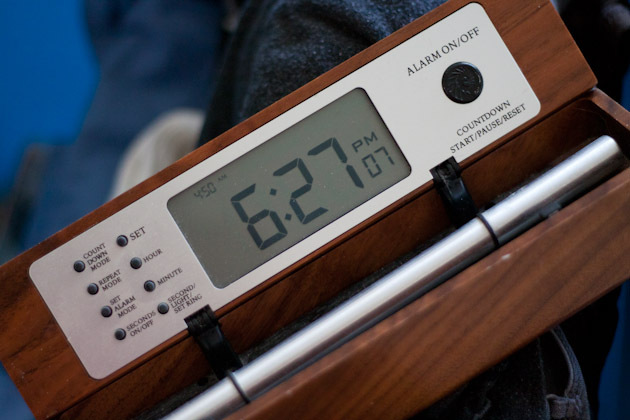 It wakes you up slowly with a progression alarm so you awake rested and calm. Much better than being jostled out of bed by a cell phone alarm, especially when you’re camping. 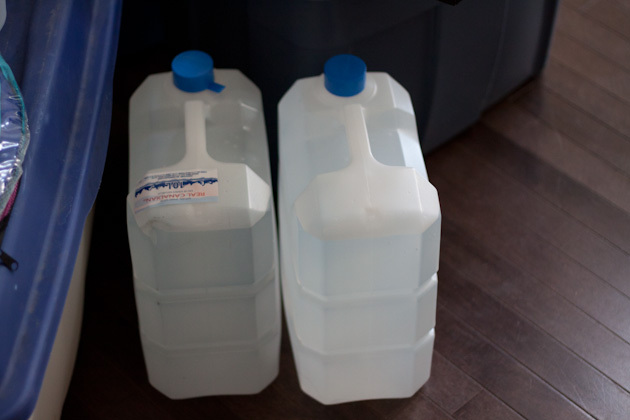 We were planning to be gone for 5 days, so we brought along 20 liters of water. 2L per person, per day. When I was around 19, my friends and I went camping nearly every weekend. 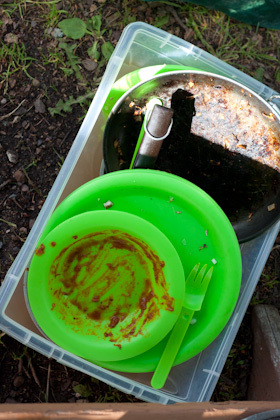 The first item I ever bought for camping was a $1 dish set at the dollar store. It came with cups, plates, bowls, utensils, everything I girl would need! Of course you can go all out and get a nice camping dish set, but one from the dollar store works just as well! 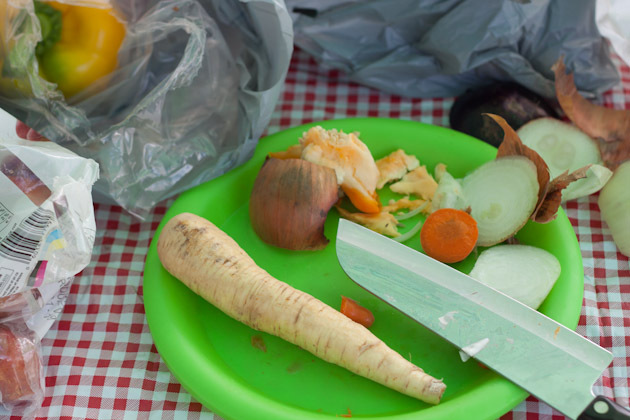 Do not forget a nice sharp knife! I remember forgetting to bring a knife camping once… it sucked. Potatoes are hard to cut with an axe. I wish I was kidding. In addition to the dishes, be sure to bring along a frying pan with lid and a pot with lid. 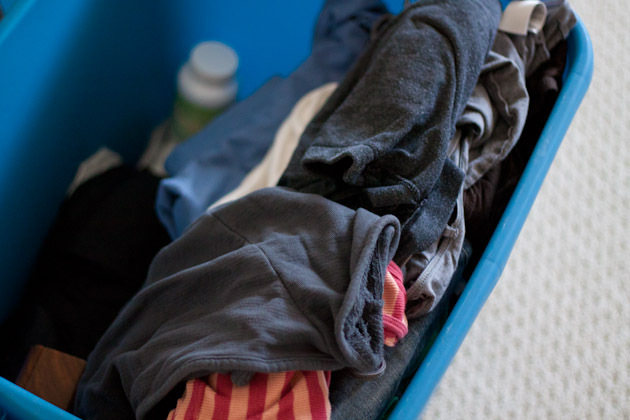 The more sturdy and rugged, the better. 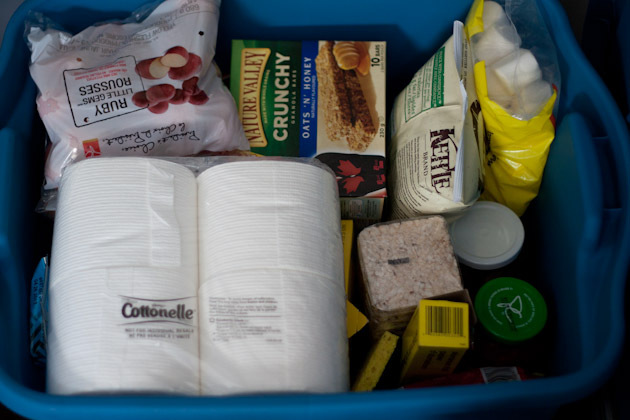 Although you’ll have a campfire to cook on, if the weather gets ugly and you can’t get a fire started you wont be eating! I bought my Coleman camp stove about 8 years ago and love it to pieces. Just as important is dish soap, a bucket and a sponge. 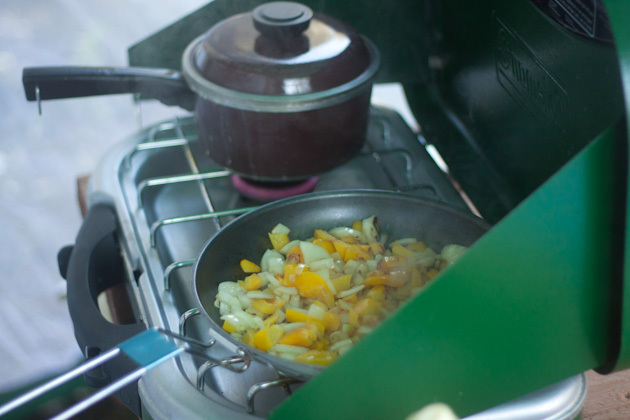 Just ignore the pieces of food on those clean dishes… all quality control in my kitchen goes out the window when I’m camping. There’s nothing much to do when you’re camping other than sit by the fire and play games. 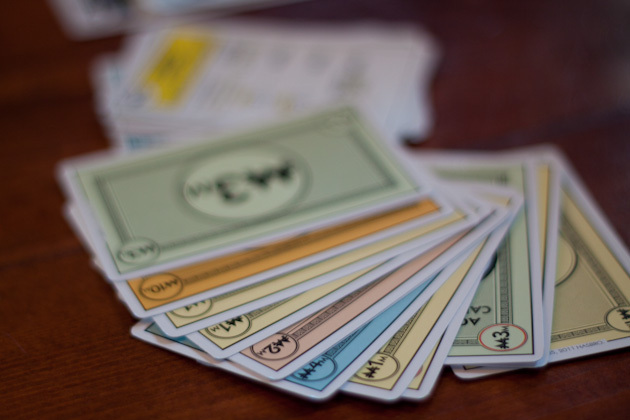 Some of our favorites are card games like Monopoly deal and UNO because they don’t come with little pieces that can get lost. Oh yes, and you’re going to need a container to wash your dishes in. Very important! 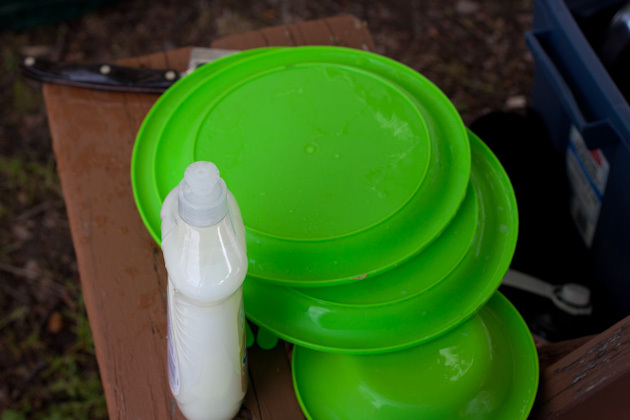 When you’re done washing up, throw the soapy water into the bush or near a water drain if the campsite you’re staying at has one. 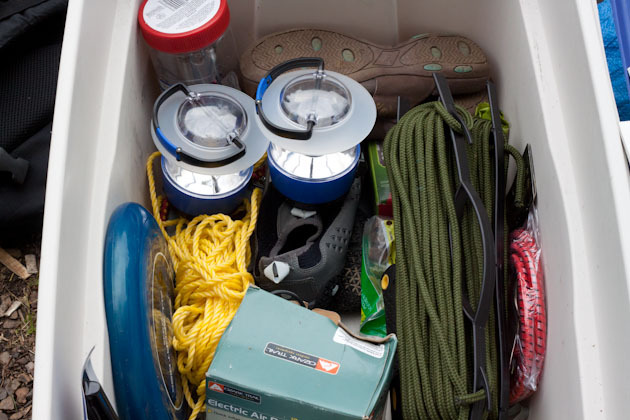 We have a gear box that has random things in it like battery-operated lanterns, rope, bungee cords, extra tent pegs, first aid kit, tarps, garbage bags, fly catchers, mosquito coils, water shoes, and an electric air pump. Twist 3 or 4 pieces of newspaper and place across the box. Then lay a bunch of little pieces of firewood on top. This is called kindling. 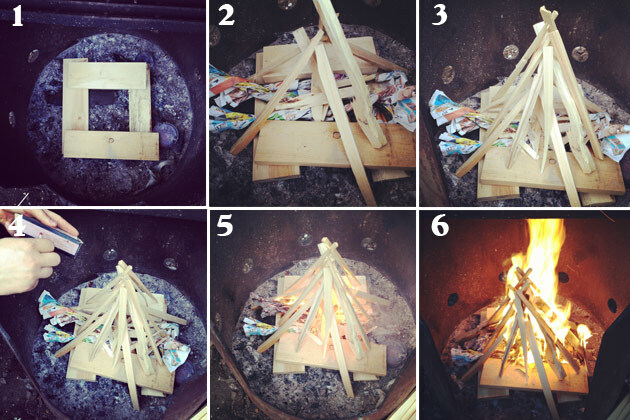 Use small-ish pieces of wood to create a teepee over top of the kindling. Light both sides of the newspaper with a match. Make sure the kindling ignites. If it doesn’t, there isn’t enough. Make more and try again! Once the teepee lights up you’re usually good to go. Let it be for a minute or so, then add a medium-ish sized piece of wood into the fire. Repeat as necessary when the fire looks to need a pick-me-up. 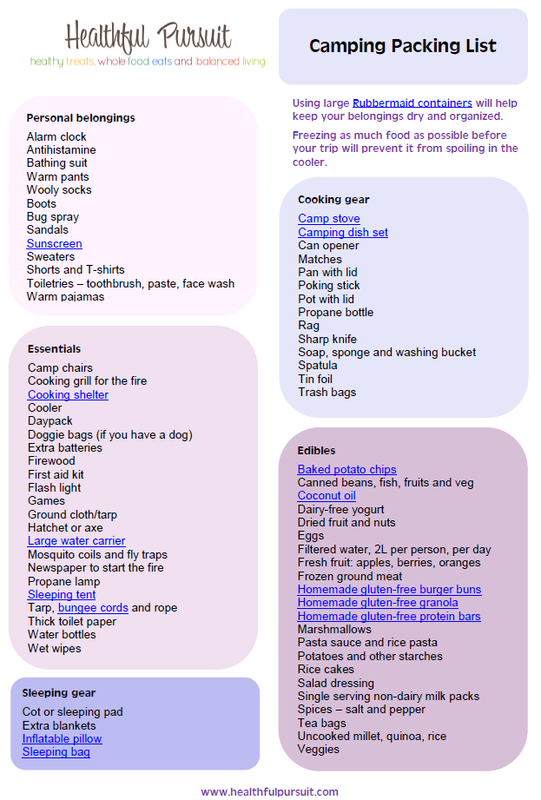 For a detailed Healthful Pursuit camping packing list printout, click here. 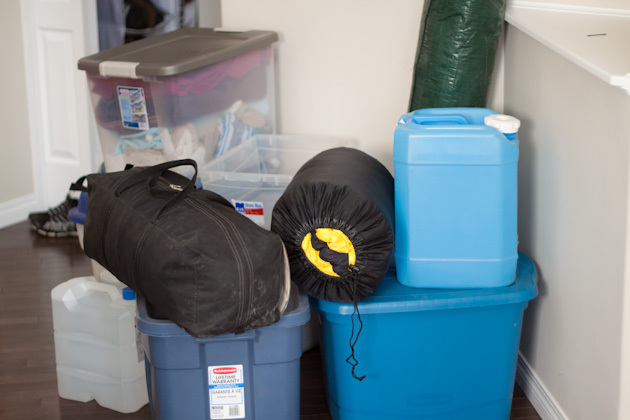 There you have it, now you’re ready to go camping!